What is a Whispering Giant? 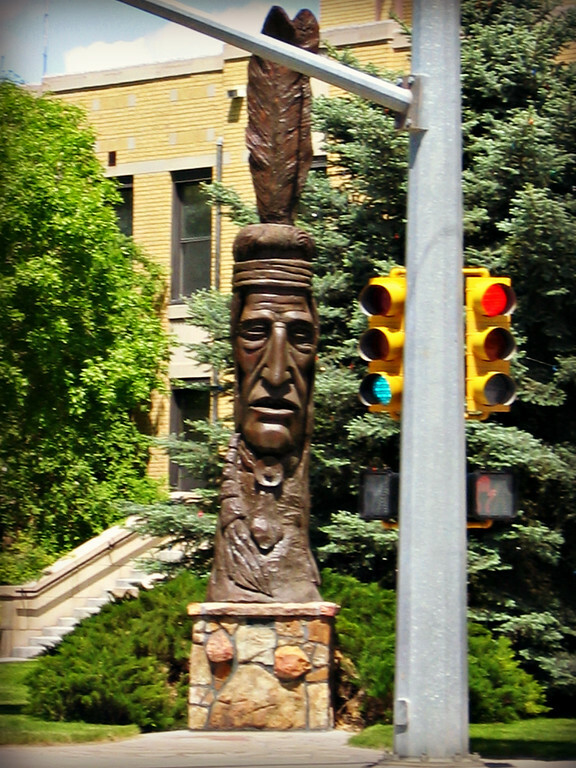 A Whispering Giant is a giant wood carving honoring Native Americans created by the artist Peter Wolf Toth. These giant wood carvings are in all 50 states and parts of Canada. Each carving honors the Native American’s who reside or once resided in the area. During this grand tour, you will research the locations of the whispering giants, ride to them and take a photo of your rally flag, your motorcycle and the giant. Make sure you read the rules and take a look at the added bonus point locations. You’ll need 30 points to become a finisher. This grand tour sounds great, right up my alley, really. I think I’m going to sign up. Though I don’t have any plans for a far-flung US ride this year (yet) I may be able to scoop up enough points to at least be a finisher just here in a few neighboring states. It does sound intriguing. Having a riding partner might be fun. Unless riding solo is a requirement. I’m starting to ruminate over moto adventures for 2015. Makes me want to learn to ride a motorcycle. I have been to three of them. I would love to visit them all!! I just might register. At least it would be something to look forward to. Yes, you have from February to October to wander around picking up points. It just might be one of those “reasons” to get out for a ride. 🙂 Plus… a sticker. Can’t have too many of those. I was still a kid when it was installed, and it looks as enormous to me today as it did then. It is near the State Street edge of Murray City Park in the middle of Salt Lake Valley. It’s about 10 or 15 minutes from my house, and I have the pleasure of passing it frequently. Y’all on the east coast should be able to rack up points pretty easily (though I’ve no idea how the points are distributed). Out here in the wild west (if only…), where the states are spacious, where the buffalo roam and where the deer and the antelope play (not to mention where the tumbleweeds tumble), there’d be a lot of road to cover between Giants. It does sound like a fun tour, though. They really make an impact when you see them, don’t they? We’re both in the same camp of not know “what” we were looking at but being moved by it. I’m not so sure that I’ll be in any position to clean up. The closest giants to me appear to be missing, eaten by dutch elm disease or in storage. Thinking about doing this! Wikipedia states that there are 74 of these Whispering Giants thought out the US, at least one in each of the 50 U.S. states, as well as in Ontario and Manitoba, Canada, and one in Hungary. Thanks for the heads up on this, looks like fun!